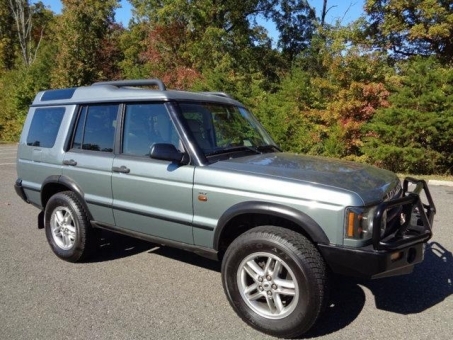 2004 Land Rover Discovery SE-7 4X4. SUPER-NICE/LOW-MILEAGE CLASSIC DISCO 11. Only 89k miles. Giverny green-metallic with Alpaca beige leather interior. Fully loaded with SE-7 Package, dual sunroofs, dual power-seats, rear jump-seats, heated-seats, premium-sound CD, 18-Inch alloy wheels, down-hill descent control, Roof-rack, fog-lights, Tow-package.